The Aruba AP-60 access point supports diverse deployment options, delivering secure mobility network services and applications in enterprise, campus and branch office environments, and remotely over public or private networks as a Remote AP. Centrally managed from an Aruba mobility controller, the AP-60 empowers the network administrator with unparalleled control over services, security and deployment models. 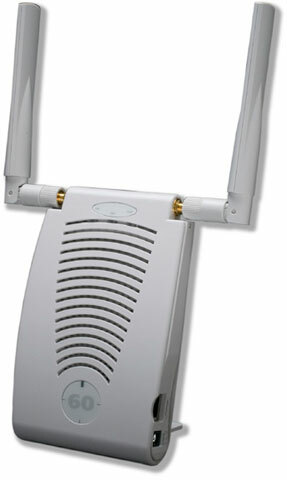 The AP-60 supports external antennas through dual, detachable antenna interfaces. The Aruba AP-60 is also known as ARU-AP-60	or AP60	.